Old Hall is over 200 years old and is home to Tom, Sandra, Corban and their pets. 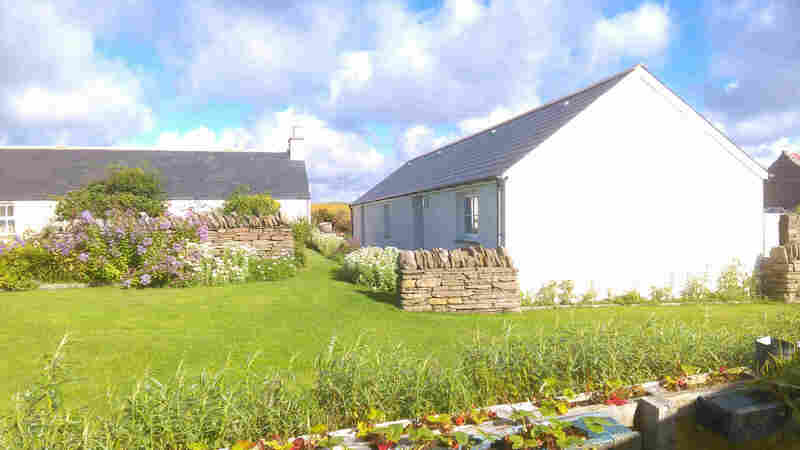 Old Hall Cottage is our converted Byre holiday accommodation which is set in the large shared grounds of Old Hall, located at the South end of Hoy, close to the pretty Kirkhope Bay. The accommodation sleeps up to 6 people. 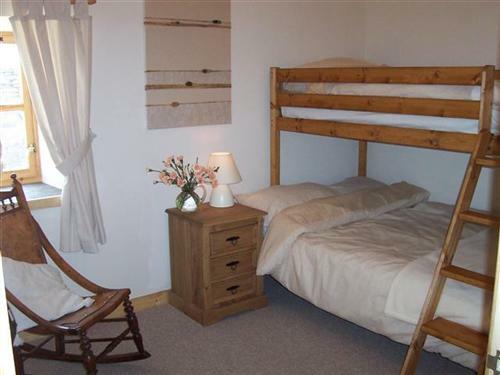 There are two bedrooms, one double with suitable wheelchair access and one triple (double bed with a single bunk), plus a sofa bed in the lounge area. 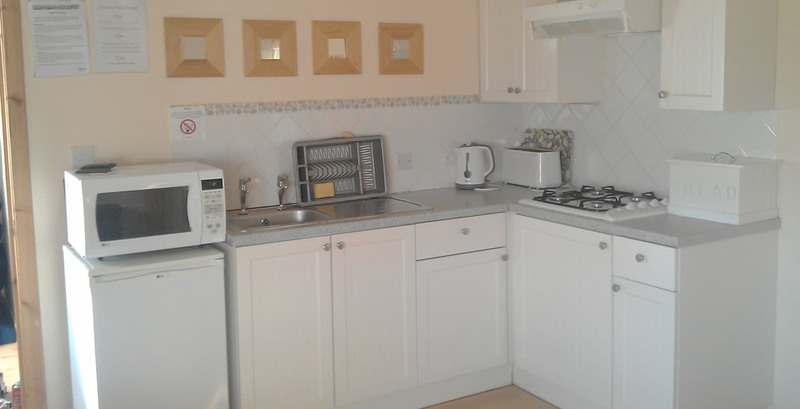 There's a fully equipped kitchen/lounge room including: gas hob, electric combination oven/microwave, fridge, comfy sofas, digital freeview TV, DVD player and DVD's, a CD player and plenty of books and games. We try to be kind to the environment. 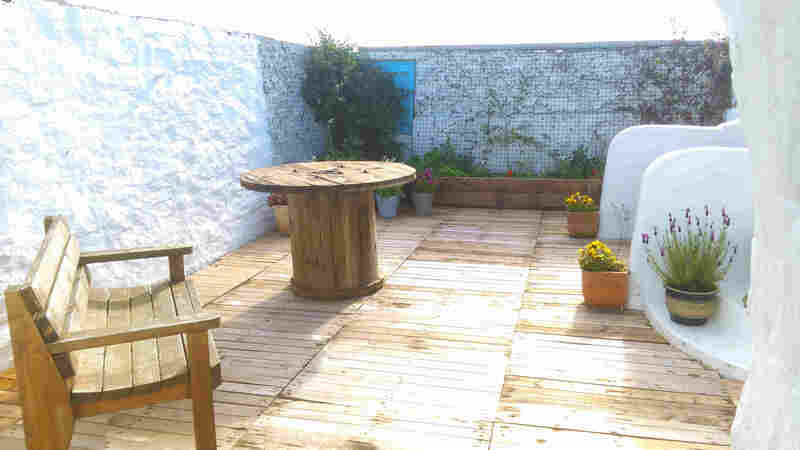 The cottage benefits from solar powered electricity and we welcome all efforts to conserve energy where possible. We encourage recycling also. We can provide Organic free range eggs from our own hens and fresh organic vegetables from our own garden, subject to availability. 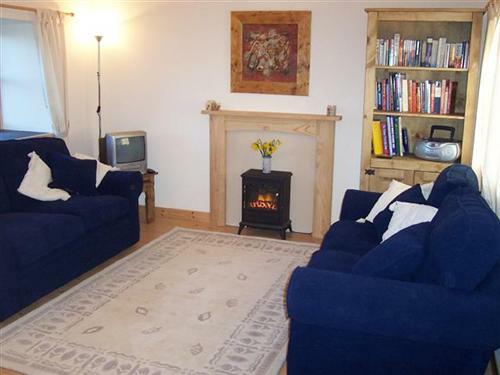 The cottage has level entry throughout for wheelchair users and guests with limited mobility. The bathroom is a level wet room with support rails and shower chair. If you require any additional aids or equipment please let us know and we will endeavour to obtain them for you. Children and young people of all ages are very welcome. Having three children of our own, we know how much stuff has to be hauled about with you. We try to be as child friendly as possible and hope to take the hassle out of holidaying with little ones. A travel cot/playpen is provided and we have some outdoor toys suitable for toddlers. We also have a large area suitable for ball games etc for older children and young people, with various seating areas around the garden. If there are additional items of equipment that you require, please let us know and we will do our best to provide them. We have plenty of storage for your cycles, fishing tackle etc and a drying room for wet gear. We can also provide packed lunches for a charge. Advance notice is required. 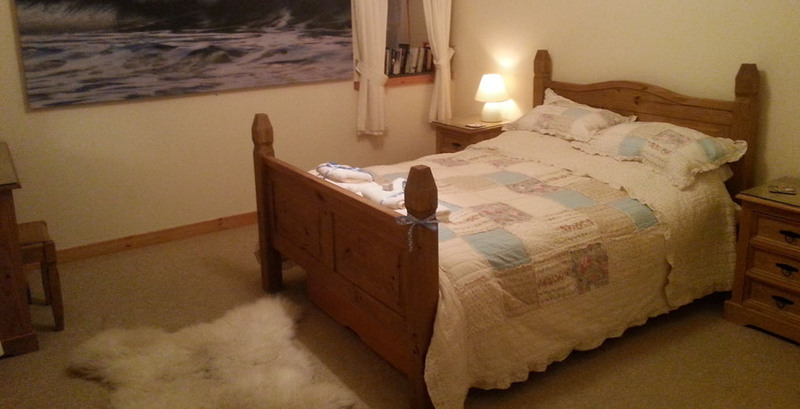 We are very pet friendly and your pets are welcome at Old Hall Cottage free of charge. We have 2 dogs and a cat of our own who are happy to share their garden. There is a maximum of two guest pets allowed. Conditions apply. We now offer a pet sitting service, subject to conditions. © Built and maintained by the Kestrel Family. All pictures and text on this website belong to Old Hall Cottage. If you wish to use any of our content, please ask us first. The template we used was future-imperfect by html5up.